We hope you have enjoyed receiving IAADFS Newsbriefs, this twice a month communication and news roundup from IAADFS. This will be the last edition of Newsbriefs that you will receive in this format. After receiving feedback from members, we have decided to take a break from Newsbriefs and come back to you in September with a newly redesigned monthly communication featuring a different mix of content. Stay tuned for more information! "Gosling's Launches New Store at Airport"
"Sharp Increase in Iranian Visitors Revitalizes Turkey's Tourism Sector"
"Hurricanes Cost Caribbean $1 Billion in Tourism: Industry Group"
"Millions Lost at Cape Town Airport Due to Passport Control"
"Norwich Airport Opens New Duty Free Shop"
"Singapore's Airport Is Ranked the Best in the World — Take a Look Inside"
"'Join Me in Jamaica' Social Media Campaign to Attract More Tourists"
"The Ritz-Carlton Yacht Collection Will Include a Big Caribbean Offering"
"Havana Could See Cruise Arrivals Triple as Cuba's Tourism Boom Continues"
"SkyBuys App Introduces Personalization to the Duty-Free Shopping Experience"
"Bahamas Tourism Is Booming in 2018"
"Terminal Enhancement Project Competed at Liverpool John Lennon"
IAADFS extends a warm welcome to Fabiana Flores Manning, the newest member of the IAADFS staff team, who started on Monday, June 18. Fabiana is a recent graduate of Brigham Young University with a degree in Latin American Studies and a minor in Sociology. 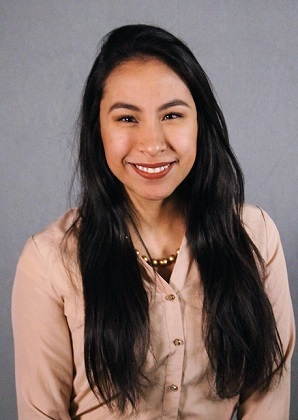 She is fluent in Spanish and is excited to be a new member of the IAADFS staff team. Welcome, Fabiana! As mentioned in previous correspondence, IAADFS has generated membership renewal invoices for the 2018-2019 annual membership year covering the period of July 1, 2018 through June 30, 2019. Dues invoices were not mailed via the postal service and instead are available in each member company’s online membership record. Bermuda Duty Free, run by beverage producer Gosling's, held its official launch on June 13 at LF Wade International Airport. The store, located in the departures area, has been open since April. Charles Gosling, managing director of Gosling Brothers Ltd., said, "When the previous owners' lease came to an end they decided rather than renew it, they would offer us the opportunity to expand. Rather than selling just what are our core items right now, such as alcohol and tobacco, we will also be selling fragrances and some clothing. We have been working with AS Cooper. We have a lot of local products here and we are looking to expand upon that." He noted that the firm wants to meet with individuals and vendors offering authentic Bermudian products to potentially sell within the store. Gosling said the store also is looking to increase its selection of cigars and large displays. Turkey's Transport Minister Ahmet Arslan says passenger trains between Van in eastern Turkey and the Iranian city of Tabriz will resume running on June 18 after not running for nearly three years. This is good news for Van, a city of half a million about an hour's drive from the Iranian border, which has lately enjoyed the economic benefits of a surge in interest among Iranian tourists. The increase in tourism is good news for Turkey, which experienced a significant decline after terror attacks in Istanbul and Ankara in 2016. According to official figures, the total number of Iranian visitors to Turkey decreased slightly from 1.7 million in 2015 to 1.66 million in 2016, which amounted to a mere 2.2 percent drop in a year where visitors from most other countries declined sharply. During the same period, the number of American tourists plummeted by 42 percent and visitors from Germany by 30 percent. Iranians, however, have made up for some of the losses Turkey faces. In 2017, 2.5 million Iranian tourists visited Turkey, a walloping 50 percent increase compared with the previous year. The number of Iranian visitors has continued to be large this year, with 850,000 tourists making the trip across the Iranian border. "Turkey has always been a choice destination for Iranians because of visa-free travel and shopping options," says Arya Afshar, a musician originally from Iran who has resided in Istanbul for eight years. "I think what has changed is that there are less non-Iranian and non-Arab tourists, so suddenly it is more affordable for Iranians. Lots of tourism agencies offer really cheap deals." The Caribbean Tourism Organization reports that the region lost more than $1 billion in tourism revenue after hurricanes Irma and Maria in 2017. The storms deterred visitors, and recovery efforts could cost about $6 billion. Hurricanes Irma and Maria swept through the Virgin Islands, Puerto Rico, and other islands in 2017, but their presence deterred tourism to even those nations unaffected by the storms. Joy Jibrilu, chair of the Caribbean Tourism Organization, said, "All our travel partners, all of them without exception, called and said that 'we have heard the Caribbean is closed.' If a storm happens in New York, no one would say, 'I am not going to Toronto.' They just would not, it just does not make sense." Tourism to Cuba, one of the few bright spots in the nation's ailing economy, also slid in Irma's wake. The World Travel and Tourism Council said in a report released in April that the hurricanes caused an estimated drop of 826,100 visitors to the Caribbean, compared with forecasts. The report also said recovery could take up to four years, costing the region another $3 billion. Slow passport processing at the Cape Town International Airport (CTIA) is being blamed for retail revenue losses worth millions of rands. According to the Standing Committee on Economic Opportunities, Tourism and Agriculture, the airport loses R25 million in duty-free shopping because international travelers are spending nearly two hours moving through Home Affairs passport control. Despite more than 750,000 flights inbound for the airport since 2015, the number of immigration officers available for duty fell to 68 from 82, according to CTIA, which has seen a 20 percent increase in international terminal passengers. In England, Norwich Airport opened a new duty-free shop after a major upgrade. The new walk-through store covers 200 square meters and sells a wide range of duty-free and tax-free goods. Dufry had operated the store for the last two months, and it will be overseen by its World Duty Free brand under a 12-year contract. Passengers can not only buy duty-free goods in the store but also pre-order them from Dufry's reserve and collect service to be collected when they fly. Norwich Airport managing director Richard Pace says, "This new store will absolutely transform the shopping experience for Norwich Airport's customers and we're delighted to be partnering with Dufry to bring their World Duty Free brand to Norwich." Fred Creighton, Dufry's Divisional CEO for U.K. and Central Europe, says, "We would like to thank the partners of RCA for the trust they have placed in us and are delighted to have won this new contract at Norwich Airport. RCA is one of the most innovative regional airport operators in the U.K. and we look forward to working with them to realize their vision for a new retail experience at Norwich Airport." Singapore's Changi Airport is considered a premier airport, ranked No. 1 by Skytrax for the last six years. The airport is clean and features a 24-hour spa, a 1960s-themed food court, a rooftop swimming pool, free WiFi, public art installations, and other amenities. Frequent travelers often arrive at Changi hours early to take advantage of its features. In October 2017, the airport opened a new $737.5 million terminal, which includes an entertainment zone. Moreover, Terminal 4 has automated kiosks where passengers can check in and print out luggage tags and boarding passes, and drop off their luggage at automated luggage drops. As an extra layer of security at the automated boarding gates, a facial recognition system matches the photo taken at the immigration gate with the face of the person scanning their boarding pass. The airport served 62.2 million visitors last year. The Jamaican Tourist Board recently rolled out the "Join me in Jamaica" promotional campaign, which features 90-second videos with Jamaican celebrities and others sharing their experiences about why Jamaica is an ideal place to visit. The goal of the campaign is to attract more tourists and boost the board's social media following. "The Join Me in Jamaica campaign was created with today's savvy traveler in mind as purchasing decisions as to where one will vacation are often made after a series of online searches. These short videos will serve to entice visitors to come experience our destination and our greatest asset, our people," said Donovan White, Jamaica's Director of Tourism. The campaign consists of eight videos promoting Jamaica's cuisine, music, attractions, and the interests and passions of the people. The videos are being promoted through social networking sites like Facebook, Instagram, Twitter, and YouTube, as well as a digital ad campaign. Jamaica's tourism industry has grown significantly each year, welcoming 3,837,243 people in 2016, the majority of whom came from the United States, the United Kingdom/Europe, Caribbean territories, and countries like China, Japan, Australia, and India. The Ritz-Carlton Yacht Collection marks the hotel brand's entry into luxury small-ship cruising, with ships accommodating up to 298 passengers across 149 suites. The company will launch the first of three ships across the brand in February 2020. There will be a significant Caribbean component, with 10-night cruises from Fort Lauderdale to Barbados; seven-night cruises from Barbados to Cartagena, Colombia; and seven-night cruises from Barbados to Philipsburg, St. Maarten. Ritz-Carlton also will offer round-trip cruises out of Castries, Saint Lucia; one-way voyages between Fort Lauderdale and San Juan; regional cruises book-ended by San Juan and Philipsburg; and sailings from Cozumel to Fort Lauderdale. The ships will visit many small cruise ports traditionally inaccessible to larger cruise lines, including Mayreau and Catalina Island in the Grenadines. "The opening of reservations marks an exciting milestone for The Ritz-Carlton Yacht Collection, which is set to redefine luxury at sea," said Doug Prothero, CEO of The Ritz-Carlton Yacht Collection. "Whether you are looking for culture, adventure, or the chance to go off the beaten path, we are thrilled to be able to invite guests to explore the world with The Ritz-Carlton Yacht Collection." Major cruise lines are offering more than 650 sailings to Cuba, and Cuba recently signed an agreement with Istanbul-based Global Ports Holding, which will triple its cruise ship berths from two to six by 2024. "Cuba has been a tremendous success for Norwegian. Havana is a fabulous destination and guest feedback has been tremendously positive," says a Norwegian Cruise Line spokesperson. Some locals are happy that the cruise boom has brought new business to the island. Around 700,000 people visited Cuba on a cruise ship in 2018, a massive increase of 1,766 percent on the 37,513 that stepped ashore in 2015. SkyBuys' online to offline app uses patent-pending wish list and geo-fencing technology to inform travelers of the best duty-free deals throughout their journey. The company has announced the start of a live trial with Heinemann Australia, and the official launch with Heinemann is slated for the third quarter. SkyBuys is in talks with other concessionaires as well. According to SkyBuys founder Alec Kemmery, "We are accessing inventory feeds and inputting them into our application so that the passenger can see what's available throughout their journey, compare offers, check out prices and pick-up/delivery options, and ultimately have a better experience when they travel." If travelers have saved specific items to their wish list, the app will determine their location in the airport and send an offline notification of whether their saved products are available and how to purchase them. He adds, "To date, there are many examples of international airlines removing onboard duty-free. There are different reasons for this, but the one constant is that despite the fact airlines are dropping passengers into shopping environments, when passengers purchase from airport retailers the airlines are not recognized in the sale. With SkyBuys, they can be." The app can offer certain passengers discounts, whether at a concessionaire level, airline level, or partner level. "We can communicate an offer linked specifically to a particular product or location," Kemmery says. Stopover visitors surged 18 percent in the Bahamas during the first quarter of 2018, marking the fastest growth rate in the Caribbean. Bahamas Tourism Minister Dionisio D'Aguilar said the gain translates to an extra 63,000 visitors during the period. "We're very bullish on 2018," he said, citing new airlift from Southwest Airlines, JetBlue, and other carriers and the opening of the 2,300-room Baha Mar megaresort. He added that the Out Islands "are very vibrant right now. They're certainly very robust, and we're expecting a record number of foreign visitors to those islands in 2018." D'Aguilar projects that 300,000 people will visit the Out Islands this year. The final phase of the terminal enhancement project at Liverpool John Lennon Airport has been completed. More than 5 million pounds has been invested in airport improvements over the past 18 months, covering a 2,000-square-meter area within the Departure Lounge. The last phase cost more than 2 million pounds and included the expansion and redesign of the World Duty Free retail area and the addition of a Traveller fashion store. Airport Commercial Director Lucy O'Shaughnessy said, "Having listened carefully to our passengers, we now believe we have passenger facilities here at Liverpool which are up there with the best of any U.K. regional airport. When combined with our recognized faster, easier, friendlier approach, Liverpool John Lennon Airport now gives a passenger experience second to none." The improvements have given World Duty Free the opportunity to introduce two of the High Street's biggest beauty brands — MAC and Jo Malone — to the airport, with dedicated areas for each brand.